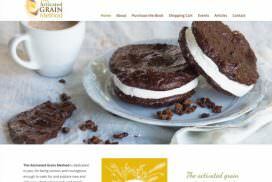 I feel great satisfaction making a difference to real people – WordPress makes it so easy. His fresh ideas and creative suggestions resulted in an outstanding and eye-catching website for supporters to navigate in clear and informative ways. 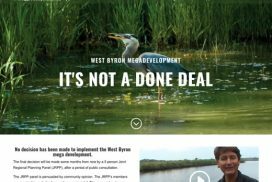 Jason’s passionate work with community groups across a range of issues proved a perfect match for this project with Byron Greens. Thank you Jason! Thank you Jason. You helped me to take ideas that I had and turn them into a great website. I appreciate you teaching me how to manage my site and also appreciate that if somethings beyond me you always know how to make it work like a dream. It is always an absolute pleasure to work with Jason. He is efficient, highly capable, organised and honest! He actually wants you to be educated on how to operate your site when it is up and running!! That is a gift in the world of websites. Jason created our website & made the process so simple. We thought being in a different state would be a barrier but Jason was able to build the site to our needs from information we provided. He worked with us & the page turned out better than we could have imagined. 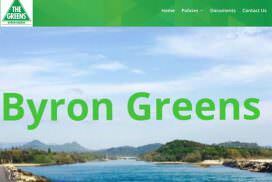 Jason from Hubway design has been a great support and value to the Zero Emissions Byron Project, including his ongoing work as a community volunteer, and working with us to get the site developed and launched within a tight deadline. I just spent 2 hours with Jason at Hubway Web Design and it was the quickest 2 hours I think I’ve ever spent with someone. Talk about an efficient, quick thinking go getter, what a legend service!! My website has been totally transformed for the better and I’ll be back for more. Jason has been my mentor, guide and tech support guru since I got the idea for this beautiful and evolving site. Patient, full of insight and know how. He is still my go-to guy when I have a glitch – large or small… I am so happy to have him on my team. I can’t recommend him enough. Efrat Wolfson – Transform Conflicts in YOUR life! Jason was incredibly helpful, insightful and creative and always had a suggestion for every one of my whims 🙂 I loved working with him on my website and recommend working with him both professionally and personally! Thanks Jason! Jason completed the job – to transform our existing website into a mobile friendly site – on time and with professionalism. I have no hesitation in recommending his services. I found Jason to be extremely professional and engaging where nothing appeared to be a problem for him. He gave me detailed tuition on the operation of the WordPress system and I have found this to be great assistance when making minor changes to the website. 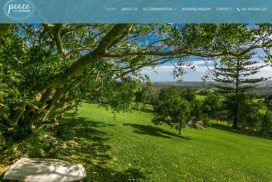 Within days of launching my new web site , I have had 6 new customers and 3 new shops (stocking my product), Byronbay webdesign (hubway) created exactly what I wanted, allowing me to deliver the “feel” and the information about my business to my customers – Highly recommended.